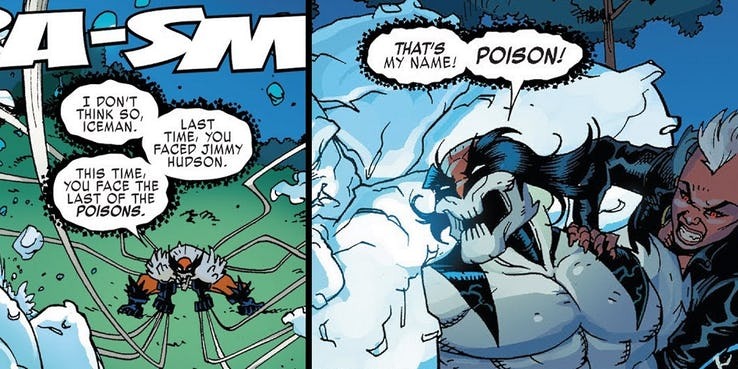 Jimmy Hudson Jr. has been infected by the symbiote, and he resembles what fans recall as Venom. The visible rage is similar to almost everyone who has been affected in the past. However, it is the Venomish alien which has controlled this young mutant who is scarier. Since Wolverine’s son already has mutant powers, his becoming infected by a poisonous alien spells danger for not just the X-Men. 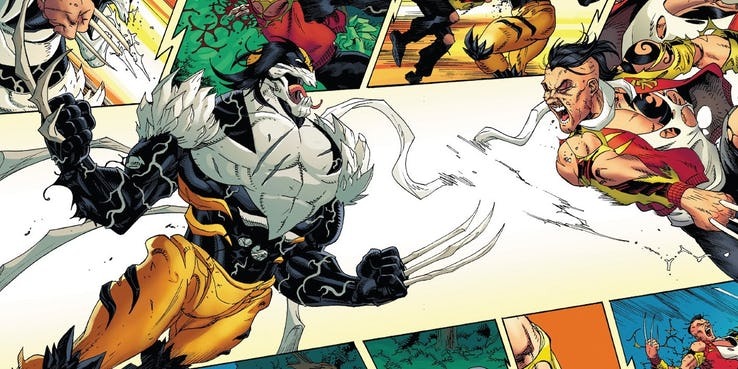 It was just the other day when James Hudson was on his way from a dying universe into the main Marvel universe (previously he was a resident of “Ultimate” universe where Logan had passed on his powers to his son). It appeared to be that Jimmy was heading to a great life, taking on the mantle of Wolverine in a fresh, younger and iconic X-Men squad. However, the incidents of X-Men Blue didn’t leave much scope for happy tidings. Therefore, when the distraught, fiery Jimmy said that he had chosen a new name for himself, it was in fact, the symbiote who was talking. 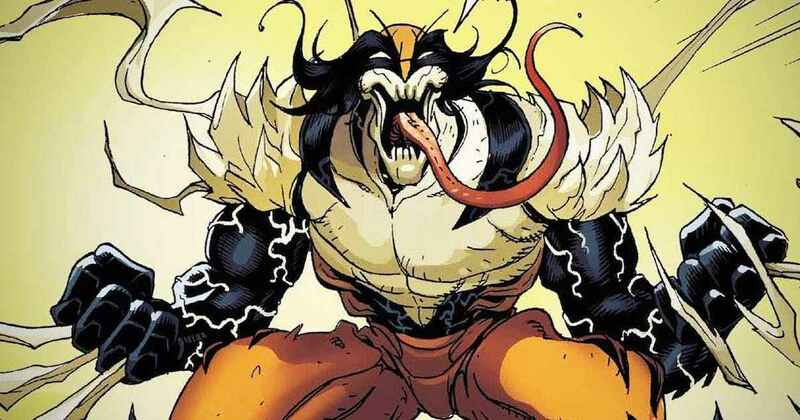 To elaborate on the peculiarity of this infection, fans must know the various villains of the Venom dominated miniseries. Making an appearance as a race of Hive mentality symbiotes similar to Venom, these villains called themselves “Poisons.” The name is apt since they planned to infect the planet’s whole hero and villain fraternity with symbiotes, quite like Spider-Man in his black costume, before attaching a parasite that could have let the Hive Mind control the infected heroes. Not before long, they all got physically and mentally taken over and making the Poisons mightier in the process. For the readers, it presented an opportunity to see someone like Thanos affected with the Venom-ishsymbiotes. However, Jimmy faced a problem that his father never had to deal with. When Jean Grey broke the Poisons’ control using her psychic powers, she also destroyed all the invading Poisons from Marvel’s universe, apart from the one that was attached to Jimmy. 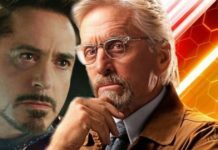 It is not known whether that happened due to his mutant powers or the fact that he originated from another universe. However, the symbiote unleashed the most traumatic memories of Jimmy and replaced them with the history of dead heroes in alternate worlds, which had a devastating impact. His X-Men colleagues spot him in X-Men: Blue #29, and find how their friend no longer remembered the guy that he used to be. Now, it is only ‘Poison’ that remains. However, Jimmy is not going to give up, now that he has his sights set on Jean Grey. 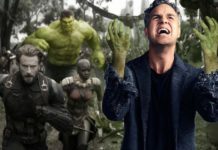 The long-term Marvel fans will figure out that the issue will be sorted out soon after “The Search For Jimmy Hudson” exhausts its entertainment value. Also since he fights Damen, the other son of Wolverine, who has no belief in Jimmy’s redemption, the chances support him. Jimmy still has some control, as of now. 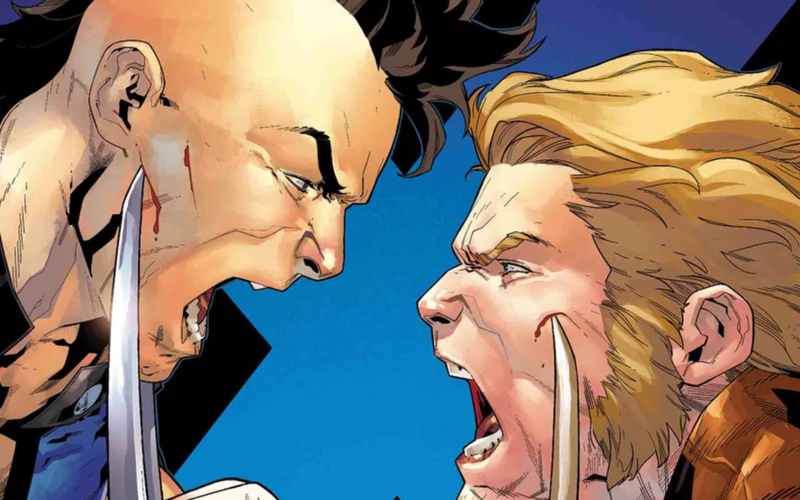 However, now that the original Wolverine is returning from the dead and is bound to step into the spotlight some time, nothing is ruled out (the list of Wolverines is filled to the brim and is quite confusing at the moment). Until then, the fans of Marvel can enjoy this new take on the iconic “Venom” concept. Spider-Man and Eddie Brock had thought that they had been infected by a unique alien, but, figured out later that the symbiote was just one member of a whole species called Klyntar. This time, however, the winning species declared itself in extreme scenario by letting the last Poison to merge with a mutant from Marvel. We hope that Jimmy is able to redeem himself, the way Spider-Man and Venom did before him. 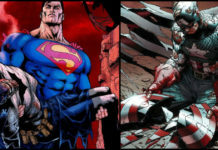 However, that has to happen before the Poison gains complete control of his unstoppable body and blades. Marvel’s X-Men: Blue #30 is now in comic book stores.